The best protection for your motorbike against storm and weather. 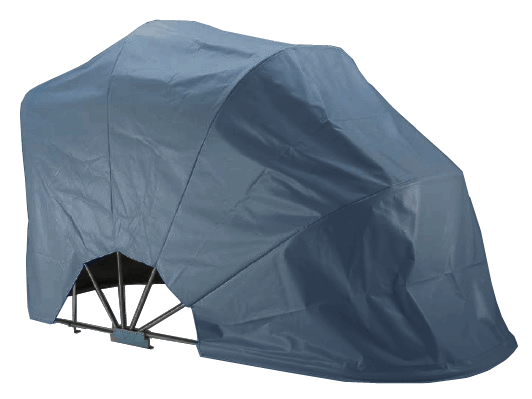 The BIKEHOME folding motorbike shelter protects your bike year-round from dirt, dust, wind and weather. 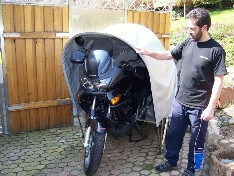 Our folding motorbike shelter is compact, portable and, due to its stable ground anchoring system, sturdy and protective. Made in Germany with high-quality materials, the BIKEHOME is completely weatherproof, able to withstand storms and cold temperatures. Our folding motorcycle shelter also features side ventilation slits, keeping condensation from building up on your bike and making it completely safe and practical even with a warm engine and exhaust. It couldn’t be more simple! We stand by each BIKEHOME and only use high-quality materials, making each of our folding motorcycle garages able to endure more and last longer. 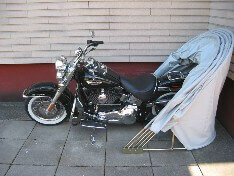 With proper care and upkeep, the BIKEHOME can easily last ten years or more! 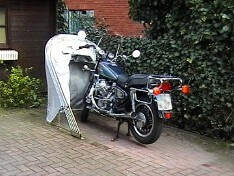 The BIKEHOME cover is made of plastic-faced, UV-treated material comparable to a high-quality lorry cover. The swiveling metal bars are made of galvanized steel pipes. 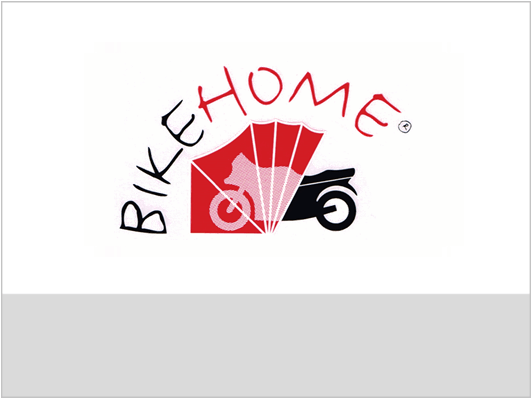 It is Easy to Save Time with the BIKEHOME Motorcycle garage! 3. and your bike is at home! 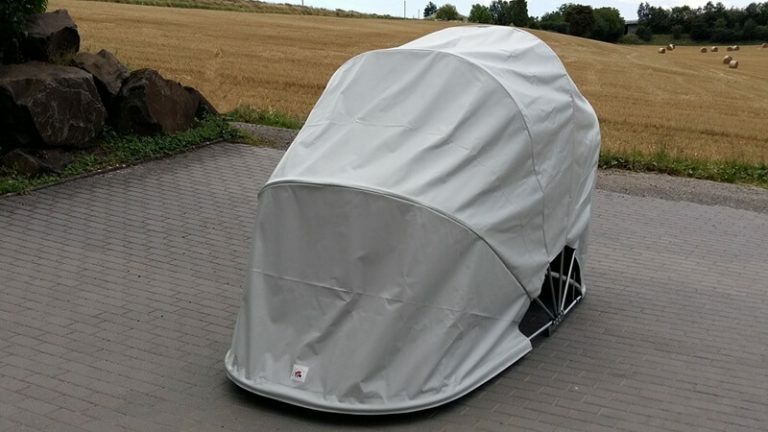 This simplicity is what makes the BIKEHOME different from typical motorcycle covers: easily opened and closed with one handle and one hand movement. The portability and compact size of the BIKEHOME also provides it an advantage over mounted or folding metal motorbike garages. Very easy to use - easily opened and closed with one hand movement. protects your bike year-round from storm, dust, wind and weather. Made in Germany with high-quality materials. Five year guarantee upon purchase. The BIKEHOME is suitable for all popular models. Please contact us, we are looking forward to answer your questions!